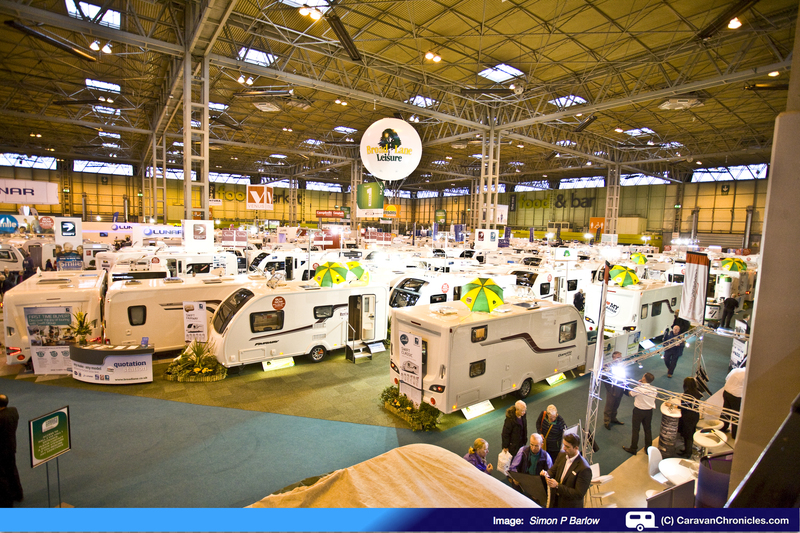 It’s that time of year again for the Motorhome and Caravan Show at the NEC. I’m all set to visit next Saturday(17th) and will be dropping in to see a few old friends of Caravan Chronicles… and some new ones. 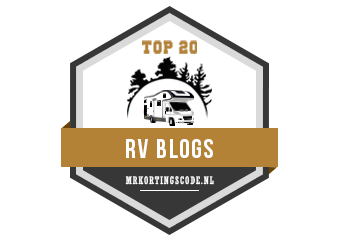 A number of companies have been in touch about doing product reviews and testing over the winter months and with nearly 1.4 million page visits to the Caravan Chronicles blog (over 3500 per day!) it seems like in the next few months I’m going to be busy. We are still thinking about changing our tow vehicle and I’ve planned a couple of articles about the excision process that we will be going through to help us decide. I’ve also got a couple of features on caravan and motorhome electrics in the pipeline. So if you see me there dashing between stands, please stop me and say “Hi”, it’s always nice to meet some of the blog readers. And I can’t go without saying a big thanks to NCC Events team for all their work in organising this years show. I’ll bet they have already started working on the 2016 show now! Yesterday I travelled down to the NEC for the Caravan & Camping Show. Catching the early “OMG it’s 6:35AM” train from Stockport got me down to Birmingham International around 8:20 and it’s only a short walk over the foot bridge straight into the NEC main concourse. What a lot of shiny caravans! Have you got the North’s biggest outdoor leisure show in your diary? 2015 promises to be a bumper year for the Caravan & Motorhome Show at Event City offering a huge choice of the latest models of touring caravans, motorhomes and holiday homes. With over 300 exhibitors there is an incredible choice of new model caravans and motorhomes from all the leading manufacturers. In 2015, the show will feature more product launches than ever before, with new layouts being exclusively unveiled by leading manufacturers Bailey and Swift. For the first time, in 2015, AIRSTREAM & Company will be exhibiting at The Caravan & Motorhome Show. Specialists in ‘cool camping trailers’, the team will be bringing a splash of silver to the Manchester event with three of its iconic brands set to be displayed. Leading accessory retailer Towsure will be returning to The Caravan & Motorhome Show for a second year to host the Towsure Accessory Superstore. They will bring along their massive range of products from bike-racks to barbecues, sat-navs to outdoor furniture. Towsure will also be offering lots of special show-only offers and discounts too! Visitors can swing by The Food & Travel Stage to see Simon Reeve, Charley Boorman and Martin Dorey from ‘One Man and His Campervan’ cook up their favourite dishes and tell tales from their many adventures. Sue and I will be there for the opening on Thursday 15th January and hopefully tweeting and posting updates directly from the show. Well not long till we set off for Cheltenham Christmas Market ! We looked for a campsite close to Cheltenham and found one just 2.5 miles from the centre. Briarfield Touring Campsite (@BriarfieldsUK on twitter) is open all year and offers 72 hard standing pitches with all the usual facilities and free WiFi. There is a regular (every 10 minutes) bus service into Cheltenham so it means we don’t have the hassle of driving in and parking. So with the free WiFi hopefully we will be blogging and tweeting from Cheltenham in a few days time! If you want to have a quick getaway and visit one of the many Christmas markets in the UK check out www.christmasmarkets.com to find out where they are and the dates. It not too late to gat a quick couple of days away in your caravan or motorhome and there is nothing like wandering round a Christmas Market drinking some mulled wine to get you in the festive spirit! I was hoping to have this article published by now as a number of people have emailed and asked me about it…. what are the benefits?… Is it legal?… Any problems?… Would it solve one manufacturers brake light problem? I did intend to get it on-line so that the ‘all season’ caravanners (like ourselves) could take advantage for the dark mornings and evenings. Well unfortunately the company that was going to supply me with a selection of bulbs to use on long-term test and so I could photograph the ‘before and after’ of replacing the bulbs has pulled out. I was trying to do a deal with them so that you could order a full set of LED replacement bulbs for your caravan at a big discounted price from a UK supplier rather than chance you luck on one of the well-known auction sites and have the bulbs of varying standards coming from the far east. So for the moment its on hold until I can find another UK supplier.